As a case and point, I wanted an administrator editing the layout details for a content items control to be able to specify a value that would be mapped into a public property on a user control. The Additional Parameters seemed like a good candidate but didn't lead anywhere with the standard Sitecore install. 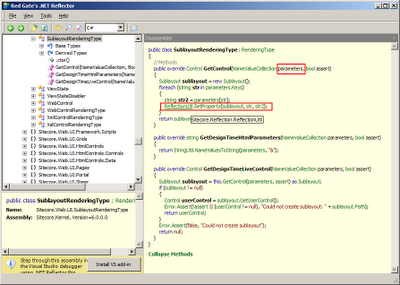 Turning to Google I found Anders Dreyers post on Accessing parameters in Sublayouts with Sitecore 5.3.1. At least with that version of Sitecore it looked like parameters weren't easily available in a sublayout. That post did lead me to Sitecore.Web.UI.SublayoutRenderingType, which is referenced in the web.config as the rendering control for sublayouts. 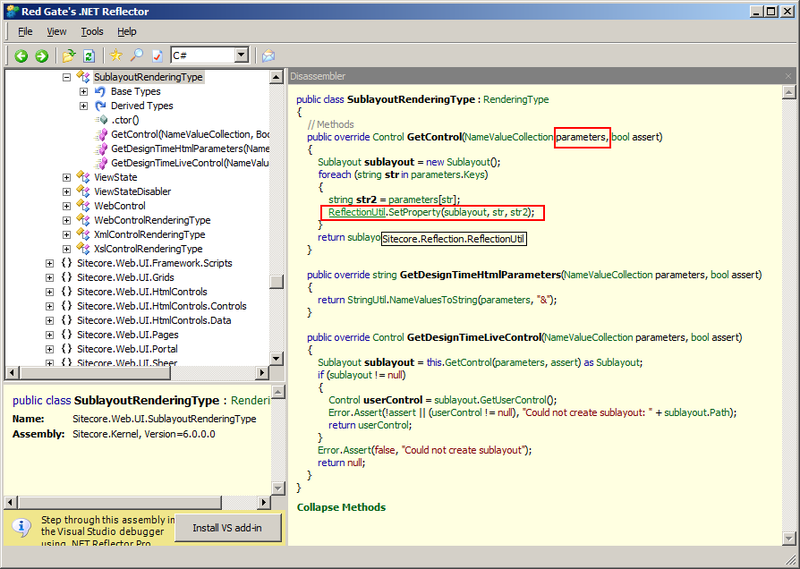 Using Reflector on it shows that the parameters collection could be used to automatically set properties using reflection. After searching through the Presentation Component Reference I went to the Presentation Component Cookbook PDF via a footnote reference and then onto the SublayoutParameterHelper via another footnote. In the Control Properties dialog, enter control properties. 12 To access the parameters passed to a sublayout, see http://trac.sitecore.net/SublayoutParameterHelper. Googling for SublayoutParameterHelper lead me back to Cascade the Data Source of a Sublayout down to Nested Controls PDF, which seems to explain how to use the SublayoutParameterHelper. This looks like just what I was after. By inheriting from Sitecore.Sharedsource.Web.UI.Sublayouts.SublayoutBase rather than System.Web.UI.UserControl the parameters will be automatically mapped to the corresponding properties in the sublayout if they exist. Just remember to call base.OnInit() if you override it (as per the documentation).